This is the web page for the Townhomes at Beaumont. Below, you’ll find news and manager updates, community documents and important property owner information. Beautification Committee Volunteers Needed!! February 27th, 2019: Your Board of Directors have decided to create a Beautification Committee! If you are interested in joining please email Beaumont@nullfsresidentialcharleston.com. This Saturday, March 2nd at 10AM, the committee will be meeting at the clubhouse to discuss plans and suggestions to spruce up the community! We hope you can attend! Read more about this. Financials & Meeting Minutes February 20th, 2019: Homeowners will now be able to have access to financials and meeting minutes at their convenience by logging in to their homeowner Cinc Login account. To login or register please go to: https://cmg.cincwebaxis.com/ Once you have logged in please go under “Contact Us” and there will be a Documents section. Financials and Meeting Minutes are uploaded as they are approved by the Board. If you have ... Read more about this. December Board Meeting Date November 29th, 2018: The next quarterly Board meeting will be December 11, 2018 at 6:30 p.m at the clubhouse. We hope you can attend! Read more about this. Beaumont Pest inspection September 27th, 2018: The Association would like to inform you that, Arms Pest Management will be conducting their quarterly exterior inspection on all units Tuesday, October 2nd. If you have any questions please feel free to email Beaumont@nullcmgcharelston.com or call 843-795-8484. Read more about this. BEAUMONT NEWS – June 25, 2018 June 26th, 2018: Swimming Pool Temporarily Closed until Wednesday, June 27th •	DHEC made an inspection round this afternoon. •	The chemicals are just right, but the inspector discovered that the mandated emergency phone line in the bath house has stopped working. •	We have asked AT&T to fix this immediately. •	The soonest they can get to us is this Wednesday between 12:00 and 4:00 ... Read more about this. Reminders for the Week of June 4th June 05th, 2018: Dear Homeowners, Pressure Washing of Sidewalks Tuesday and Wednesday Tidalsouth Pressure Washing will be onsite this week to clean sidewalks. Tomorrow, Tuesday, June 5th they will begin on Emerald and complete as much as possible. On Wednesday, June 6th they will complete remaining sidewalks on Emerald, then do all of Monaco. On your scheduled day, please remove all items from ... Read more about this. Beaumont May 25th Newsletter May 29th, 2018: SNEE FARM FENCE LINE BALLOTS DUE MONDAY, MAY 28th If you haven’t mailed your ballot yet, please drop it into the mail tomorrow. You can also sign, scan, and e-mail to Chandra Washington at cwashington@nullfsresidentialcharleston.com. SWIMMING POOL The newly refurbished Beaumont pool will be open for swimming TOMORROW, Saturday, May 26th! Each time you enter the pool area, per DHEC, ... Read more about this. Status Of Beaumont Pool April 09th, 2018: Dear Beaumont Neighbors, As part of our commitment to improvements and fiscal responsibility in our community, your Beaumont HOA Board engaged LeakMasters to drain, inspect, and assess our pool. To our regret, the report revealed multiple leak sources as well as physical repair needs. Their professional recommendation was that temporary repairs and patches would not be prudent; ... Read more about this. Welcome! 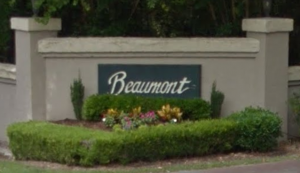 March 20th, 2018: Welcome to the community page for Beaumont! Read more about this.